Located in South Yorkshire, Rotherham is not without its transportation challenges. A great way to avoid many of these hassles is by using a scooter. While a lot of people opt for personal cars or use public transport, a scooter is very useful in a town like Rotherham. If you are wondering why a scooter will make a perfect choice for transport, consider the following benefits. Why Own a Scooter in Rotherham? Faster in Traffic: You can easily move more quickly around the town if you are riding a scooter than by car. Parking: Scooters are small in size and can fit into any space. Thus, you can also spend less on parking if you own a scooter. Price: Scooters are very affordable. You can purchase one of ours for as low as £999. They also have low maintenance costs. Fuel Economy: You can ride your scooter for days or weeks before you need to refill. Price: Our scooters are very affordable and are some of the cheapest you’ll get anywhere in the UK. Finance Options: You can also choose to pay in instalments if you cannot pay in one go. Insurance: We also help you find the best insurance deals by comparing the insurance market. Designs: We have a variety of designs, so you’ll definitely find a scooter that suits you. To make scooters affordable for everyone, we have no dealerships in any part of the UK including Rotherham. However, we deliver everywhere in the country. 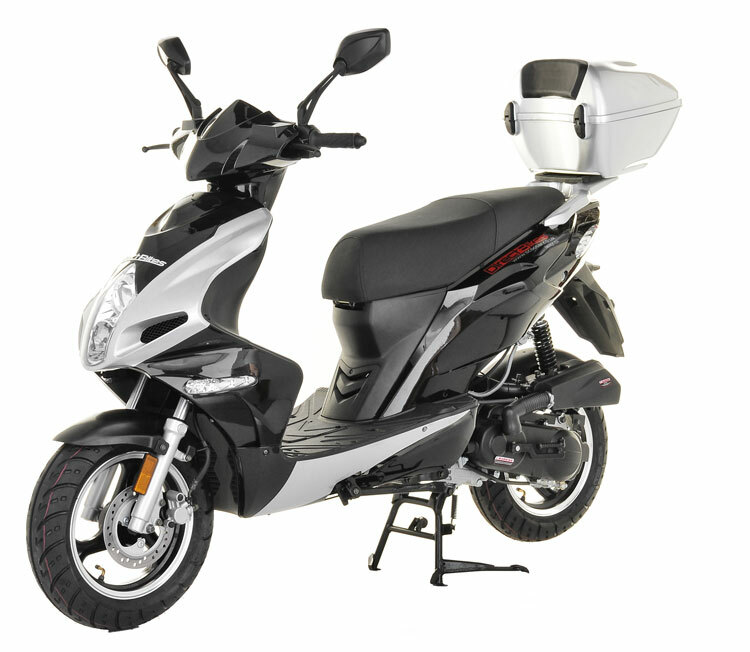 To get your scooter, simply provide us with your delivery information and we’ll deliver your scooter on the agreed date! Browse our range of scooters, order one and start riding through town today.